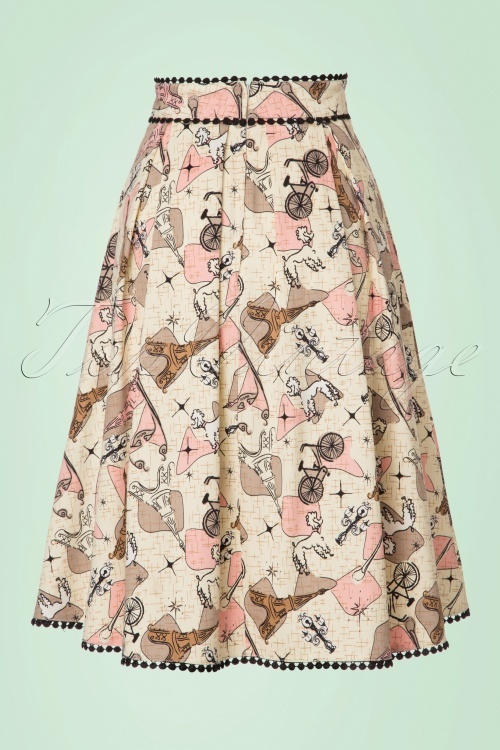 This 50s Marienne Swing Skirt is bringing the Parisian summer to you! You don't know summer until you've felt that Parisian sun. 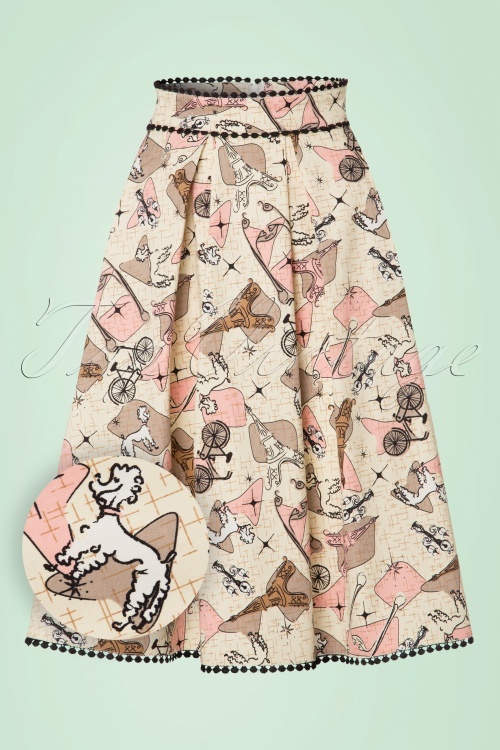 But for those of us who can't jet off at the drop of a hat, we can bring the summer to you with Marienne! 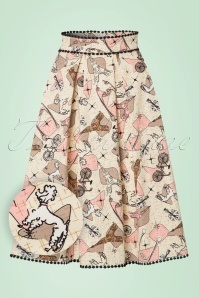 She's as stunning as she's flattering; she's worn high at the waist from where she runs into a flowy swing skirt. 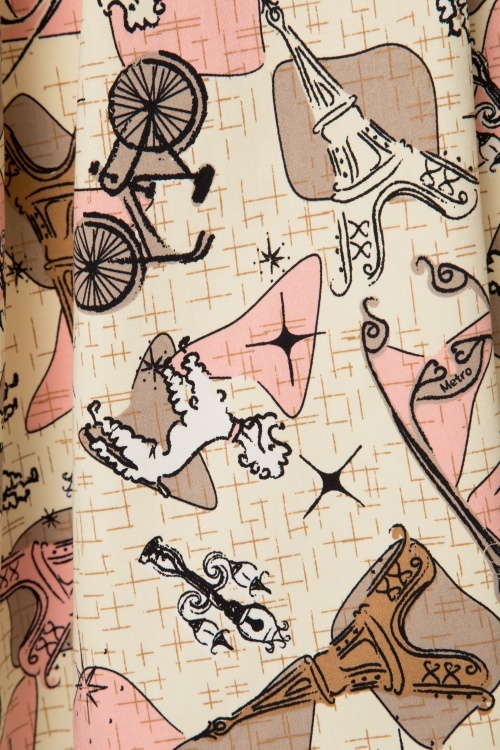 Made from a sturdy yet supple, cream coloured cotton blend with a light stretch and an all-over, playful Paris print. We adore you, Je t'aime!